As the new year unfolds, you may still be searching for ways to add purpose to your 2014. Fortunately for the introspective, the arrival of Martin Luther King Day means that you are guaranteed to encounter many quotes from the great civil rights leader over the next few days. Dr. Martin Luther King Jr.’s most enduring quotes are no source of comfort: they challenge even the most active citizen to take a hard look at his excuses and complacency. 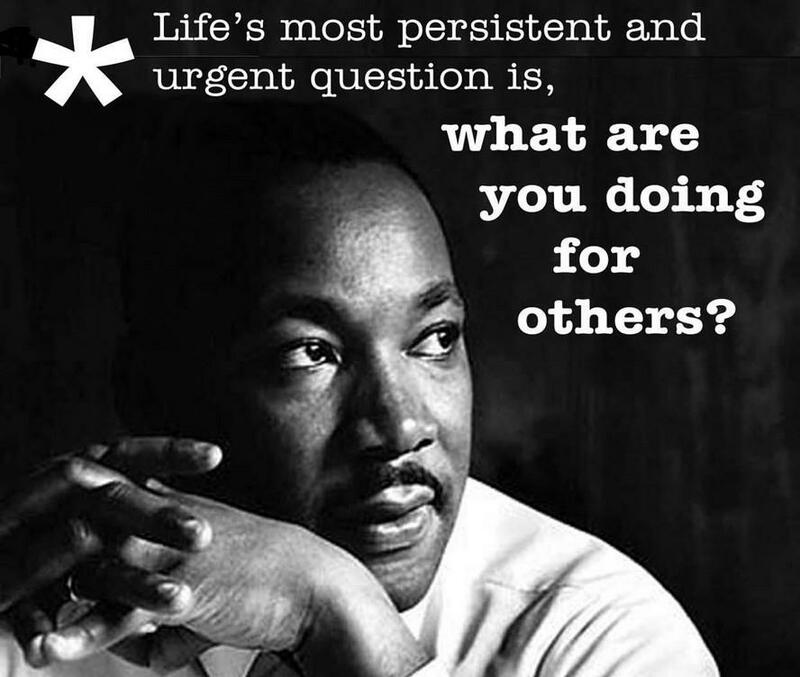 My favorite quote, and the theme chosen for UNC-Chapel Hill’s MLK Day of Service, is: “Life’s most persistent and urgent question is, ‘What are you doing for others?’” It’s a blunt, clear-eyed statement with no patience for hedging. “How do your ideals match your actions?”, it demands. Great leaders have sought their ideals and campaigned for environmental equality long before the formal study of environmental justice was established. The US EPA defines environmental justice as “the fair treatment and meaningful involvement of all people regardless of race, color, national origin, or income with respect to the development, implementation, and enforcement of environmental laws, regulations, and policies.” Advocates for environmental justice evaluate whether people of a certain demographic are more affected by adverse environmental conditions than random chance would suggest. 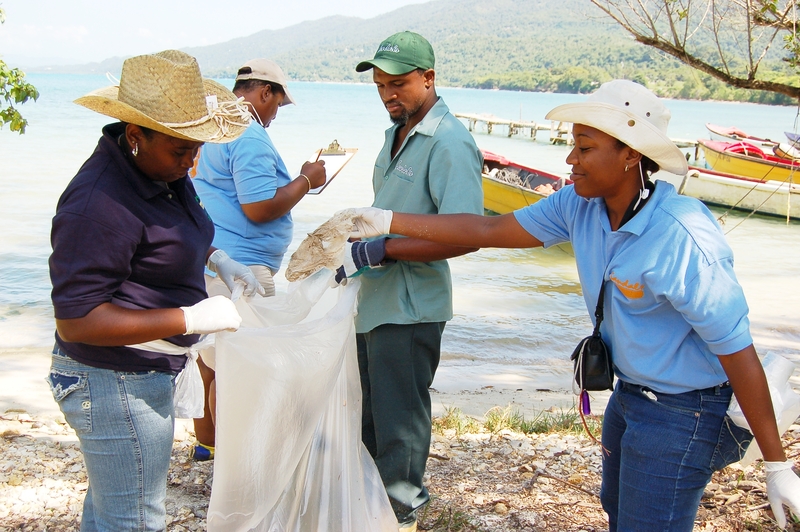 People employed in the field can study poor communities located near contaminated sites, illegal fishing in the ocean, or accessibility of parks to minority populations. Martin Luther King Jr.’s mission was rooted in civil rights for the black community, but there is an undeniable connection between fundamental human equality and an individual’s physical surroundings. When people of a certain demographic are forced to bear the burden of an unsafe environment, their disadvantages are magnified. How can one worry about employment when battling a disease brought on by contaminated drinking water, for example? Environmental justice violations are trickier to identify in the ocean, thanks to the diffusion of impacts and therefore difficulty in assigning responsibility. One recent article, published in Marine Policy by Elizabeth De Santo, questions whether the European Union’s Integrated Maritime Policy and Marine Strategy Framework Directive lacks a mechanism for public input, thereby potentially marginalizing groups who are affected by marine policy decisions. Another prominent example is the Environmental Justice Federation, which combats illegal, unreported, and unregulated (IUU) fishing. Since IUU fishing depletes fishery stocks, it can imperil food supply for poor nations that rely on the seas. As oceanographers, we can contribute to the push for environmental justice by employing our knowledge of marine environments. Since we understand functioning marine ecosystems, we can identify when they are impaired and predict impacts on human communities. Some research can be connected to broader concerns, which lends itself to PR materials, community outreach, even involvement with a relevant environmental justice organization. Many research topics, however, are simply not related to social issues. This week, for example, our Chemical Oceanography class read a Nature article about groundwater in the Chesapeake Bay that was actually trapped 145 million-year-old seawater. 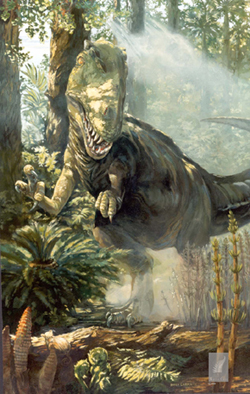 Interesting findings, but good luck making the case for justice violations among Cretaceous dinosaurs. This dinosaur is not happy about environmental justice violations. When research does not logically segue to social issues, perhaps the best way for scientists to engage Martin Luther King Jr.’s challenge is through general education. No one can advocate for environmental justice unless he is aware of it, so mentioning the issue in outreach programs or even conversations with friends and colleagues can be immensely meaningful. And of course, by volunteering you can really multi-task: just imagine talking about environmental justice while cleaning the beach! If you’re itching to get out and give back this Monday in particular, Volunteer Match has a great database of MLK Day service events searchable by location (http://www.volunteermatch.org/seasonsofservice/mlkday/). One of the most admirable aspects of Martin Luther King Day is its ability to initiate conversation among people of many backgrounds on serious and complicated topics. In that spirit, I’d like to encourage our wonderful readers to weigh in! What do you think are some successful strategies for connecting your research or work to environmental justice efforts? Have you ever actively done so? What is your reaction to Dr. King’s quote: do scientists have an obligation to conduct their jobs with an eye for human rights, or is civil activism more appropriate to pursue in one’s personal life? Share your thoughts in the comments! De Santo, EB. 2011. Environmental Justice implications of Maritime Spatial Planning in the European Union. Marine Policy 35(1): 34-38. Tags: Current Events, environmental justice, MLK Day, Outreach. Bookmark the permalink. Previous post ← One Fish, Two Fish, Red Fish…Glowing Green Fish? Wow, Kathleen! This is so good. I find this particularly poignant given the current plight in Appalachia: the WV coal chemical leakage that has made groundwater unsafe for human use. As you’ve noted, the burden of this pollution has fallen heavily on those marginalized groups of Appalachian society. To answer your question, yes! I think scientists have a very important obligation to ‘watch out’ for human rights, especially for those humans who are unable to watch out for themselves. Happy MLK weekend! Thanks for commenting, Megan! Such a good connection to West Virginia. It’s really upsetting to read the news about the water contamination there, and to contemplate why something like that has happened in Appalachia (along with mountain top removal, natural gas extraction, etc).